In 2010, the original monthly subscription box, Birchbox, took the world by storm in offering a monthly sampling of different beauty products to its subscribers. Other companies soon followed, including some of the most popular like Ipsy, Graze and Dollar Shave Club. It wasn’t long until the space was filled to capacity like a glutton at a Golden Corral, with offerings designed to deliver everything from seasonal phone cases to something as ridiculous as a “monthly box of awesome” (that’s seriously what it’s called) and everything in between. Why the rush to fill the vacuum of every single potential need known to humankind (western humankind, at least)? Well, people love to spend their money on all sorts of different things they don’t really need, and the online era has only made it that much easier for people to flush their hard earned money down the tubes into someone else’s wallet. Generally speaking, monthly subscription boxes are terrible for your finances. I think they’re a huge waste of money and they target people’s’ tendency towards retail therapy. But not all monthly subscriptions fail the test of frugality. Some provide killer entertainment value, while others provide peace of mind and security. Still others free up time to be spent on more valuable pursuits. In fact, here are 7 monthly subscriptions that I’d be lost without. The granddaddy of them all, the media giant started with DVD sales and rentals by mail but started streaming movies and tv shows in 2007. Now, they seemingly rule the world and are everywhere. I mean, my parents, admittedly not the most tech-savvy individuals, even have Netflix. For around $10 a month you get access to thousands of movies and TV shows that you can watch on multiple devices at home or while you’re traveling, providing you with KILLER bang for your buck. If Netflix isn’t your thing, maybe you should relax and read a good book. It’s easy to get your favorite titles delivered to you with Amazon Prime from Amazon, one of the worlds largest retailers and an online powerhouse. With Amazon Prime, you get access to FREE, CRAZY speedy delivery (same day in some locations). Not only that but if Netflix isn’t doing it for you, you can watch Prime Video, with hundreds of movies and TV shows available to stream. In addition, there are TONS of other benefits as well, like being able to borrow books to read on your Android or iOS device. For $100 annually, even if you only order a few times a year, you’ll save the money you would’ve spent on shipping. Two years ago, I had a terrible accident involving my computer, a cup of hot coffee, and a parent trying to make their kids laugh. I’ll let you fill in the blanks, but suffice it to say, it didn’t end well. 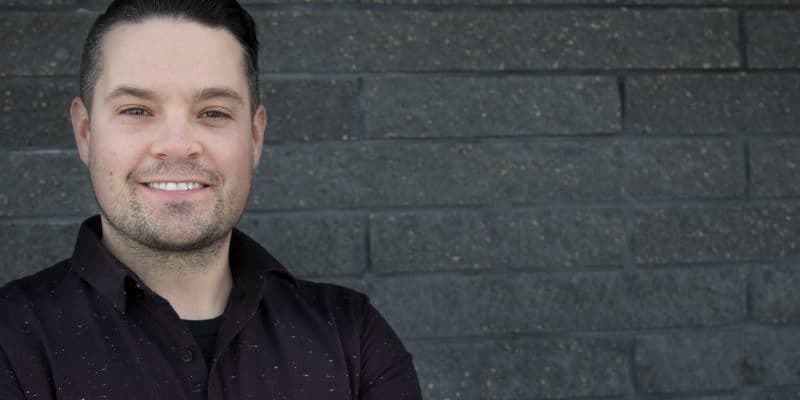 In this digital age, where everything seems to exist in “the cloud”, there can be a tendency to think that backing up your data is no longer necessary. We have thousands of precious pictures and videos on our computer. Our wedding, trip to Europe, the birth of our kids and their many milestones, all live on our hard drive. Sure, many of them also exist in “the ether”, but finding and accessing them if something were to happen to our computer would be a massive pain. That’s why we use Carbonite. For around $70-$110 a year (depending on your plan), we get our entire computer regularly backed up to secure servers located in the USA. It backs up automatically, and I never have to worry about it. It even has a cool feature which allows me to access the files from anywhere in the world (although I don’t think North Korea would be included in that, but to be fair, I’ve never tried so I can’t say for sure). Now I know you may be saying, “But Matt, you could rig something up with Google.” as some of my super techy friends do. But tech isn’t my thing. I’d rather pay the money in this case and have the peace of mind knowing that the memories we’ve made as a family are safe and sound. The best investment you can make has nothing to do with stocks, bonds or mutual funds. Instead, it has everything to do with investing in yourself. One of the best ways to do this is through reading. But finding the time to read can be tough. My alarm goes off at 5:30 am (though admittedly I don’t hop out of bed at that precise time). Most days it seems like I’m running from dawn till dusk. By the time the kids are in bed and I’ve done some housework, I’m either working on my blog or ready to crash. Reading often doesn’t fit into my schedule. Amazon’s amazing audiobook provider offers subscribers 1 title a month for around $15. They have 1000’s of books you can download and listen to whenever and wherever you want. For me, I have a bit of a commute to work. My drive allows me to listen in the car instead of zoning out to mindless talk radio or music. Now when I workout or cut the grass, I’m not just looking after my personal health and household responsibilities. I’m also growing as a person as I invest in myself. NOTE: I do also get out books from the library which is obviously much cheaper. The difference is that Audible has a much larger selection of titles and also some of the newer releases, which are harder to track down at the library. For the best results, use both! If you follow my blog, you know that our life is busy. Between our two kids, jobs, and all the extras that come along with that, and our involvement in our church, we don’t have many nights where there’s not something happening. To top it all off, last year my wife started her masters and I decided to start a blog. There are lots of things parents do that go unnoticed to keep the household humming along. One of the biggest is making sure there’s food to eat and dinner is made. In our house, my wife is both the grocery shopper and chef extraordinaire. Me? I specialize in pita pizzas and…breakfast (what dad doesn’t!!). When my wife started her masters we decided that in order to free up a bit more of her time, we’d order two weekly meals from a grocery subscription box provider. In our area, we use Chef’s Plate, but there are lots of others, including Hello Fresh. It’s so nice having the ingredients for a fresh and delicious dinner delivered right to your door with a recipe inside! All that’s required is a bit of cooking time, usually around 30 minutes or so, and BAM!!! For us, the cost of Chefs Plate has been well worth it. And although it’s not something we’ll probably continue after my wife completes her degree (just because we’re always looking for ways to cut costs), for this season of our lives, it has been money well spent! For Chefs Plate use the coupon code #3platesFrommethodmoney to get 3 plates for free!! When I started my blog, I spent an obscene amount of time learning many of the ins and outs of blogging. One of the first choices that I had to make was which company would host my site. After a PAINSTAKING amount of research, I settled on Siteground. From everything I’d read, they were competitively priced starting at $4 a month, and they were consistently praised for having KILLER customer service. A year later, I can personally vouch for the amazing customer service. On multiple occasions, I’ve taken advantage of their live chat feature. In it, a service rep holds your hand and literally walks you through step by step whatever you need help with. I’m not techy, so having this WONDERFUL service is a godsend. They have saved me countless hours of research and frustration in trying to fix things. 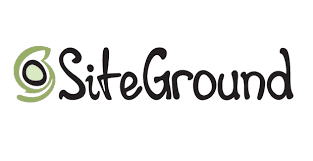 If you’re looking to start a blog, either just for fun or as a way to grow a side hustle, I would most definitely recommend Siteground for hosting. If you haven’t heard of Grammarly, listen up. 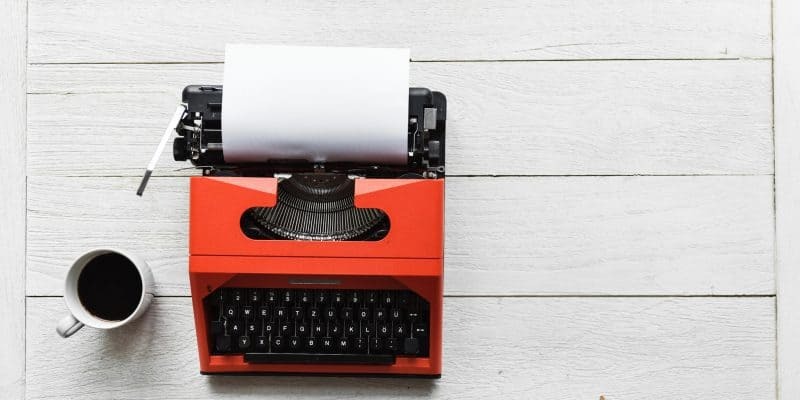 It’s an amazing editing tool you add to your Chrome browser that lets you edit your spelling, grammar, word choice, and other writing features wherever you’re typing. No longer will you worry about spelling checking a comment on another site. There’s no need to type the comment in a Google doc, spell check it, then paste it to your desired location. I actually use the free version right now, which is pretty awesome. The paid version checks your sentence structure, wordiness, overused words and even politeness and plagiarism. For those who write a lot, whether emails or articles, at $12 a month it’s a bargain to have a personal editor. 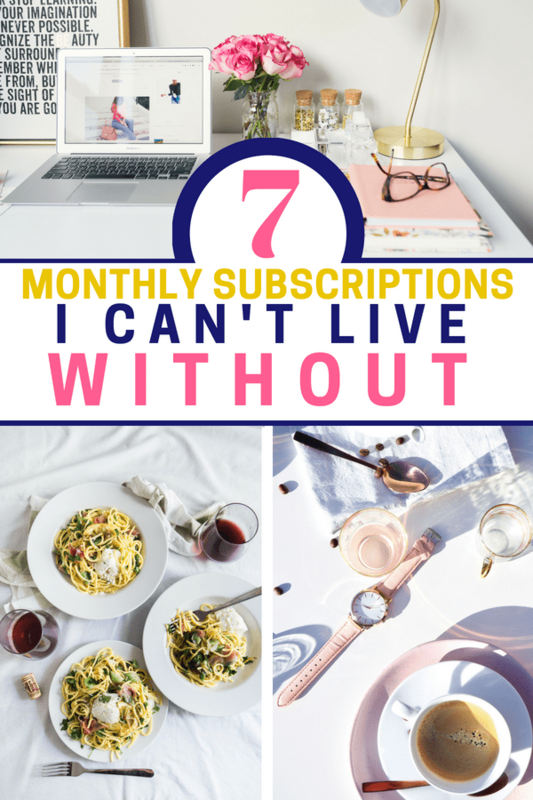 So there are the 7 monthly subscriptions I can’t live without. While monthly subscription boxes are largely a waste of your hard earned money, there are some exceptions. 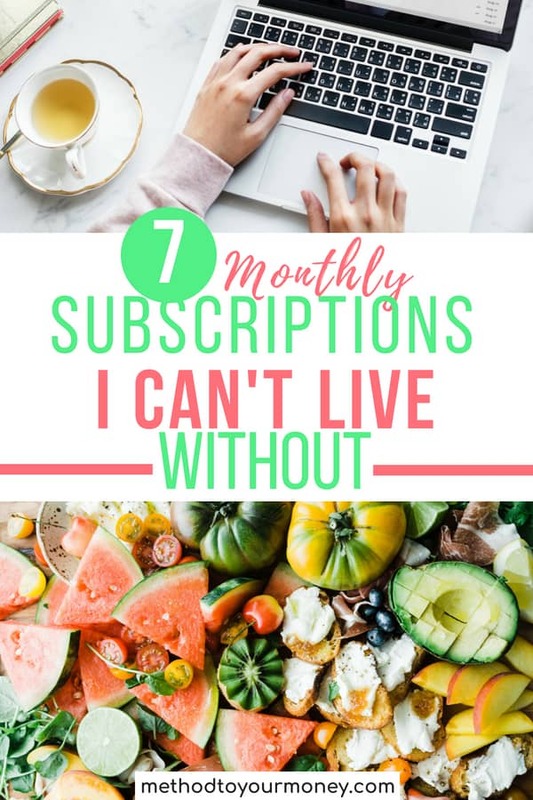 The 6 subscriptions and 1 monthly subscription box I’ve mentioned all make our lives easier, more enjoyable or provide a significant amount of security for us. As a valuist, I don’t mind spending money when there’s true value to be had and these products certainly fit the bill. Without them, I can say with certainty that we’d be a little lost and certainly not as productive as we are right now! What are the subscriptions you love? Add to the conversation in the comments below or on Twitter @method_money or my Facebook page Method To Your Money. You can also find me on Pinterest. Want to pass on your money values to the next generation? Sign up below for my FREE course How To Teach Your Kids About Money! I have 3 of these subscriptions as well (Netflix, Prime, and SiteGround). Netflix would be hard to get rid of because it’s pretty much the only TV our family watches, and we watch a few Netflix exclusives. We do watch Prime video sometimes, but not all that often. How do you find Prime? Is it decent? These are great! I just cancelled Amazon Prime and don’t regret it, but there are definitely things we keep that aren’t necessarily “Frugal” because we enjoy them or find they bring value. 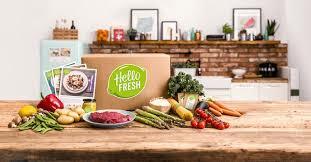 I tried Hello Fresh recently and was very impressed with the quality. I don’t think we’ll use it *all* the time, but there’s definitely a use for it when life is extra busy!